Presenting exclusive Lokgeet Audio Jukebox of Padam Shri. Sharda Sinha Ji also known as Bihar Kokila. 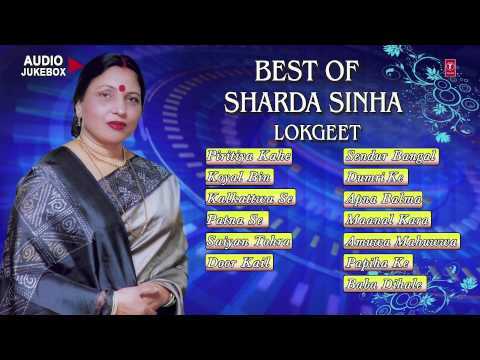 Sharda Sinha sings Maithili, Bhojpuri and Magahi songs, has received Padma Shri for her contribution to music. Prayag Sangeet Samiti organised Basant Mahotsava at Prayag where Padma Shri Sharda Sinha presented numerous songs based on the theme of spring season, where the advent of spring was narrated through folk songs. She regularly performs during Durga Puja festivities. She performed when the Prime Minister of Mauritius Navin Ramgoolam came to, Bihar. She has sung in many movies such as "Taar Bijli" from Gangs of Wasseypur - Part 2.